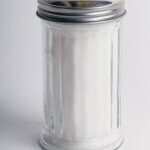 Added Sugar and Heart Disease – Is There a Link? I don’t want to burst your bubble but did you know that the average American will consume 22 teaspoons of added sugar each and every day. Over the last 20 years, the average yearly sugar consumption per person in the United States has gone from 26 pounds to 135 pounds. Just before the start of the 20th century, the average consumption was only 5 pounds per person per year. To put this into perspective, a typical bag of sugar sold in your grocery store is 5 pounds. In 1890 that one bag would have lasted a person one year. Today, that 5 pound bag only lasts for about 2 weeks! Wait! I know what you’re thinking! That last 5 pound bag of sugar that you bought at the grocery store over a month ago is still sitting on your pantry shelve. There is no way that you’re consuming all this sweet stuff! Right!? Wrong!! What you’re forgetting to count are all the highly refined sugars in the foods you eat and drink. You don’t see them because the food companies give them aliases like barley malt, corn syrup, dextrose, fruit juice concentrate, maltose, maple syrup, molasses, turbinado, fructose, glucose, corn sweetener and high-fructose corn syrup. I challenge you to open up your refrigerator and pantry and look at the nutritional facts posted on each food product. The amount of sugar each product contains is listed under “Total Carbohydrates.” Each teaspoon of sugar is equal to 4 grams. To determine how many teaspoons you are consuming all you have to do is divide the total grams by 4. Your average soda will have somewhere between 27 to 30 grams of sugar per 8 ounces. Your soda at 28 grams is equal to 7 teaspoons of sugar! A 12 ounce serving of Gatorade has 22 grams or just slightly more than 5 teaspoons of sugar. Even something as healthy as Yoplait’s Original 99% Fat Free yogurt has 27 grams of sugar per serving. This is just slightly less than 7 teaspoons. Possibly you would put one or two, maybe even 3 teaspoons of sugar in your coffee, but surely not 7. Yet this is exactly what you’re doing each and every day with some of the foods you eat and drink. You may not directly eat that 5 pound bag in your pantry but you are consuming an equivalent amount of sugar through all the different foods and drinks you consume each and every day. The Guideline is for Added Sugar! It’s important to note that there is a difference in how the body handles naturally occurring sugars compared to added sugars. Naturally occurring sugars are found in whole fruits, vegetables, and milk products. The most common naturally occurring sugar is fructose which is found in fruits and vegetables. Milk products contain the simple sugar lactose. Added sugar is commonly found in candy, soda, sport drinks, fruit drinks, cakes, cookies, and pastries to name just a few. When the American Heart Association asks you to cut back on your sugar consumption they are not asking you to stop eating fruits and vegetables but those foods that have “empty calories.” Foods with naturally occurring sugars deliver essential vitamins, minerals, and protective antioxidants to help keep you healthy and fight disease. A can of Coke or Pepsi doesn’t deliver any vitamins, minerals or protective antioxidants; just “empty calories” that typically replace nutrient-rich foods that we need in our diet. If the typical American woman consumes 22 teaspoons of sugar per day, then how can she reduce this to 6 teaspoons? The easiest and fastest way is to target what you’re drinking. As noted before the typical 8 ounce serving of soda contains 7 teaspoons of added sugar. Most cans of soda are 12 ounces. Exchanging that one can of soda for an equivalent amount of water would eliminate 10.5 teaspoons of added sugar. If you drink two cans per day then replacing them both with water would help you easily meet this guideline. 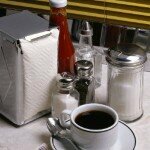 Does Sugar Have a Direct Link to Cardiovascular Disease? Well, that depends on who you listen to. The sugar industry will tell you that there is no direct link to heart disease. Yet sugar is associated with cardiovascular risk factors such as obesity, high blood pressure, high levels of triglycerides, and high levels of C-reactive protein that can cause oxidative stress and inflammation to the vascular system. In the landmark Nurses’ Health Study those who consumed diets with a high glycemic load had a significantly higher risk for coronary heart disease. Additionally, there are a number of studies that link dietary sugar with adverse changes in lipoproteins. One such study, the Coronary Artery Risk Development In young Adults, shows a consistent inverse association between added sugar intake and HDL cholesterol concentrations. This means that as you increase your added sugar consumption your HDL cholesterol levels decrease. HDL cholesterol is your good cholesterol and provides protection to your cardiovascular system. Thus, the goal is not to decrease this protective lipoprotein but to increase it. Two recent studies showed that the development of type 2 diabetes can be predicted based on the consumption of foods with high glycemic loads. Any form of diabetes increases the risk of cardiovascular disease. Part of the reason is the formation of Advanced Glycation End products or AGEs. This process is an uncontrolled, non-enzymatic reaction between proteins and sugars to significantly alter the structure and function of proteins. In this process a sugar molecule attaches itself to a protein molecule resulting in the formation of a non-functioning glycated protein structure. Research over the last 20 years has implicated AGEs in most of the diseases associated with aging such as cardiovascular disease. Advanced Glycation End products are involved in the formation of atherosclerotic plaque and directly damage the endothelial cells that are necessary for nitric oxide production. This damage to the blood vessels also increases the risk for high blood pressure, stroke, and erectile dysfunction. A Not So Sweet Conclusion! The sugar industry has spent a lot of money in the last year with TV and radio advertising trying to put a good spin on sugar especially high-fructose corn syrup. The reality is that, outside of taste, sugar has no nutritional value other than to provide calories. Foods containing added sugars usually displace whole foods and contribute to nutritional deficiencies. Their “empty calories” have been a major contributing factor to the ever increasing issue of obesity for both adults and children. There are enough valid studies to show that high sugar consumption lowers the good HDL cholesterol while increasing triglyceride levels to help accelerate atherosclerosis. But the most damaging effect of added sugar is the production of Advanced Glycation End products which threatens all your organs especially those that have high concentrations of collagen. Collagen accounts for approximately one third of your body’s total protein. It is found in skin, muscles, organs and vascular structures and provides elasticity and cohesion to these structures. When properly controlled, proteins and sugars can interact without causing damage to the body. But this control is lost when added sugars make up a significant portion of your diet. It is why the American Heart Association has finally issued guidelines for daily added sugar. This entry was posted in Heart Disease and tagged Added Sugar, Advanced Glycation End Products, American Heart Association, Corn Sweetener, Heart Disease, High Fructose Corn Syrup, High Glycemic Load, Refined Sugars, Sugar, Sugar Consumption by Dan Hammer. Bookmark the permalink.